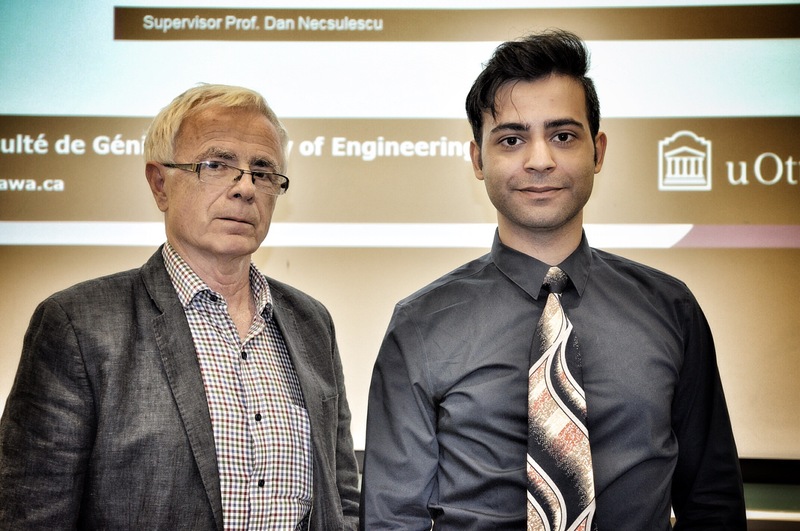 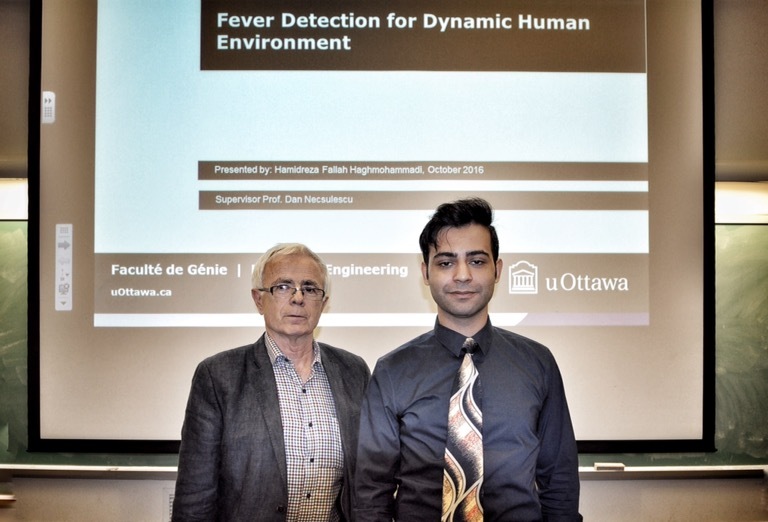 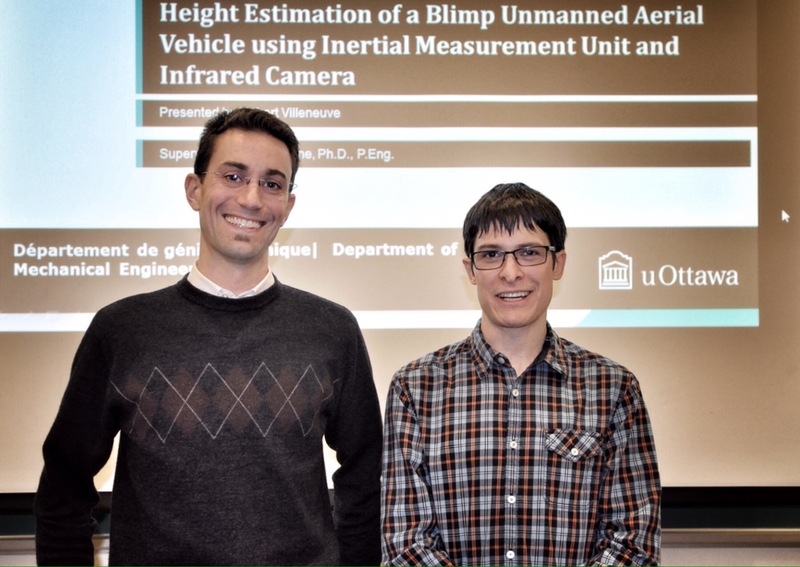 Last week, MASc candidate Hubert Villeneuve presented his thesis work, giving a talk titled “height estimation of a blimp unmanned aerial vehicle using inertial measurement unit and infrared camera”. 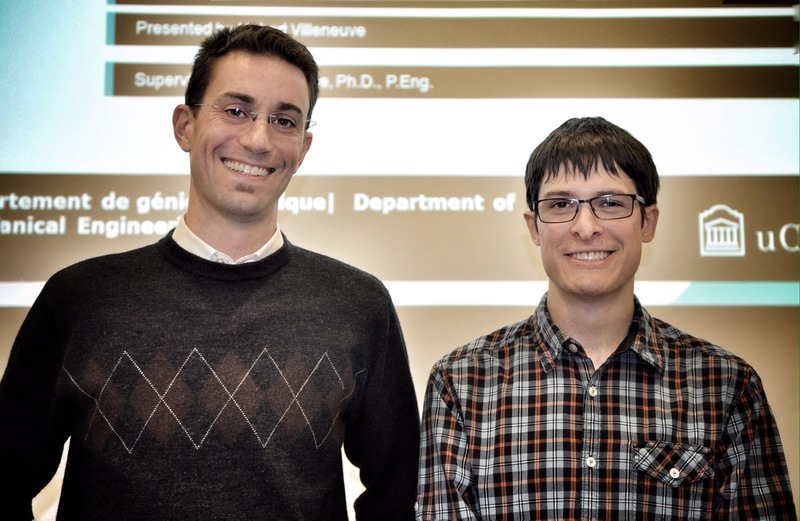 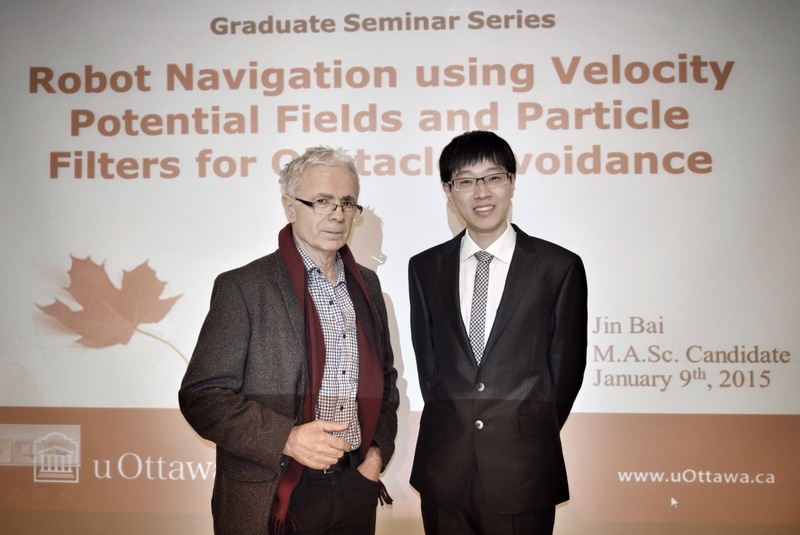 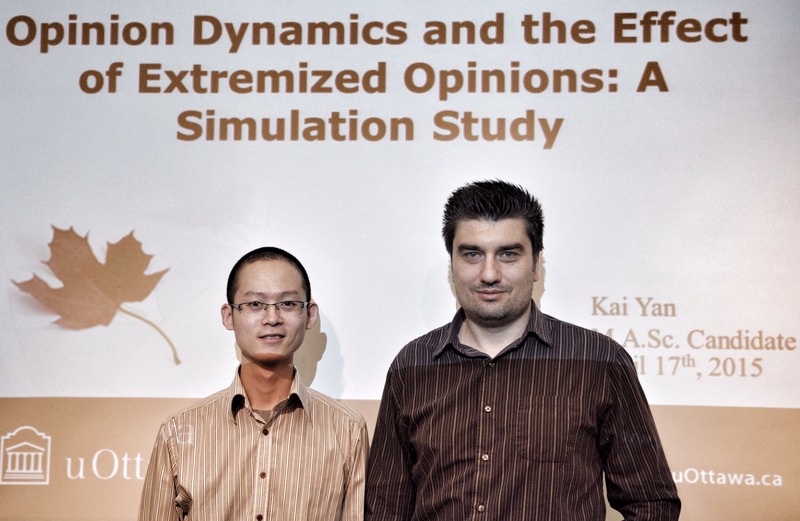 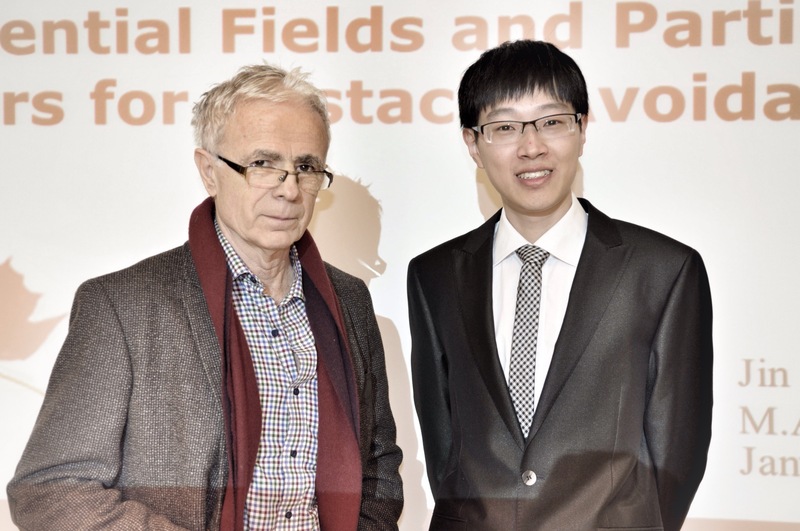 The work was done under the supervision of Dr. Eric Lanteigne, who was also present for the talk. 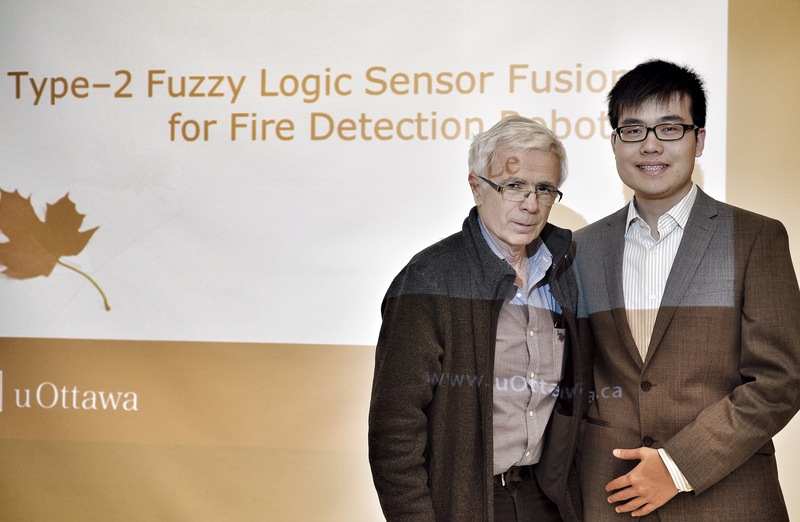 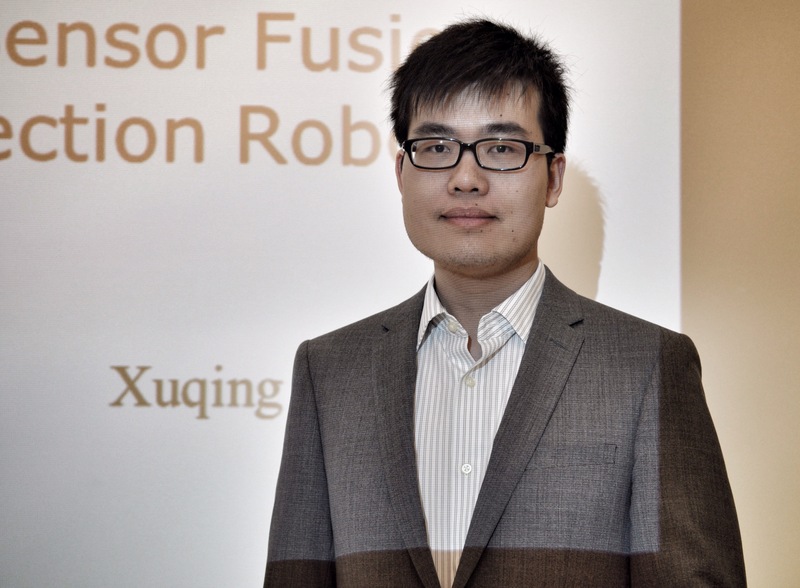 Well done, Hubert, congrats on presenting your work!